Hand watercolored linoleum block print. 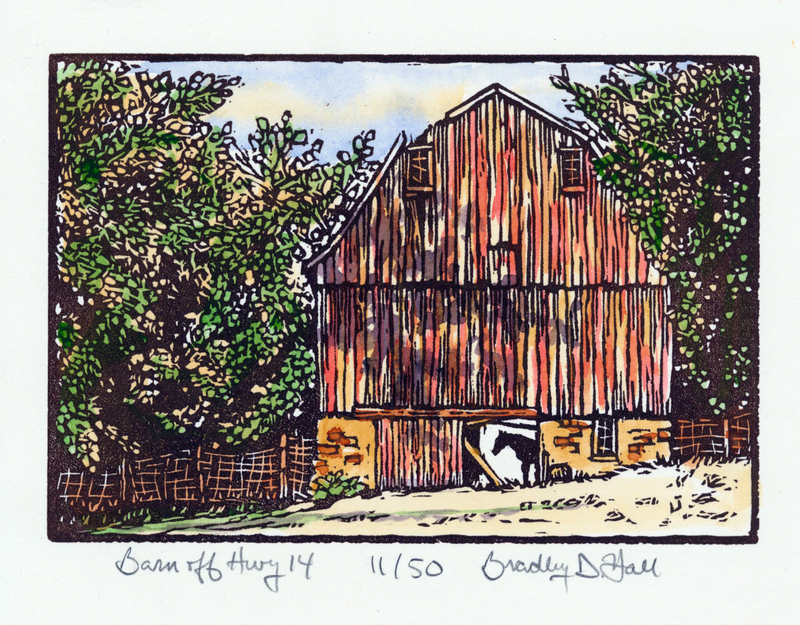 Image size is 4 3/8" x 6 3/8". Included in the pull down menu are the cost of the print, plus the frame and shipping costs. Unframed shipping price is $.71. 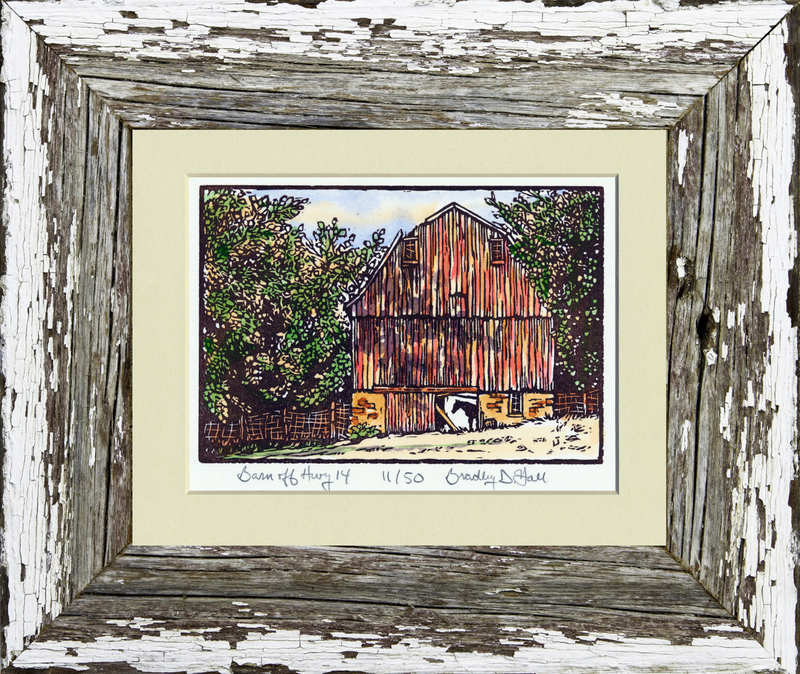 Barnwood regular frame is $10 for the frame, plus $5 for shipping. 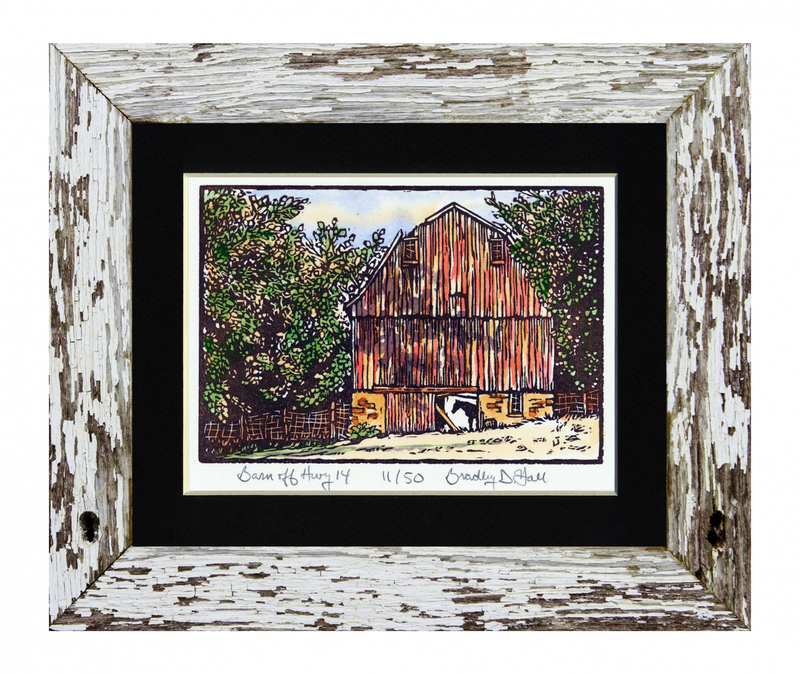 Barnwood wide frame is $15 for the frame, plus $5 for shipping.